The HomeKit accessory market has exploded, with a significant number of new accessories already planned to debut by year's end. Here are the most exciting options that we're expecting to see in 2018. HomeKit has a bright future ahead. Accessory makers are lining up to bring accessories to market, and each year at WWDC Apple adds new accessory types and features. The release of iOS 11 was particularly useful for HomeKit users and manufacturers. Faucets, sprinklers, and speakers all gained support, accessories can now pair with QR codes and NFC, timers can revert scenes after a set amount of time, and more. Apple also removed the necessity of an Apple MFi chip, instead allowing accessory makers to add HomeKit support through software instead. In comparison to years past, this year we have a huge list of new products, encompassing nearly every category of HomeKit's accessory types. This year was especially notable for newer categories like cameras, watering systems, and buttons. As a huge HomeKit fan, here are the upcoming accessories that we're most excited to add to our homes and offices this year. 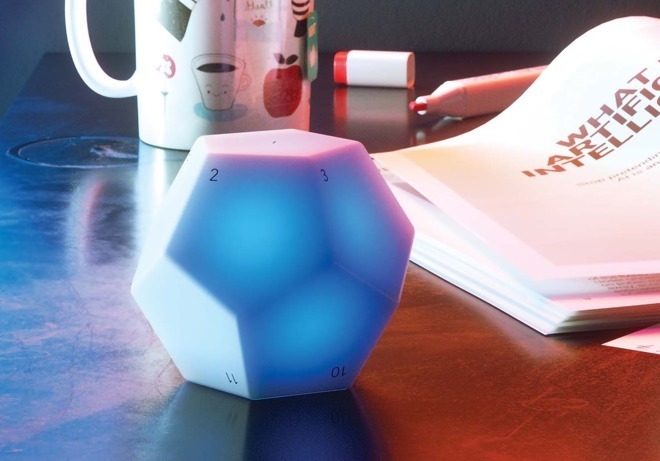 There is nothing quite like the Nanoleaf dodecahedron remote. Compared to any other "button" accessory for HomeKit that is limited to three options, Nanoleaf's is capable of twelve different commands. You simply give the remote a turn and it will trigger a different scene. Whichever number is face-side up is the scene that is set. You do have a few more options if you use it exclusively with the Nanoleaf Aurora. Aside from setting a different lighting seen, you can also rotate it clockwise and counterclockwise to adjust the brightness of your light. The only question that remains, is just how difficult it will be to remember each of those twelve scenes. You will be able to pick one up later this fall. The Safe & Sound is another entirely unique device. 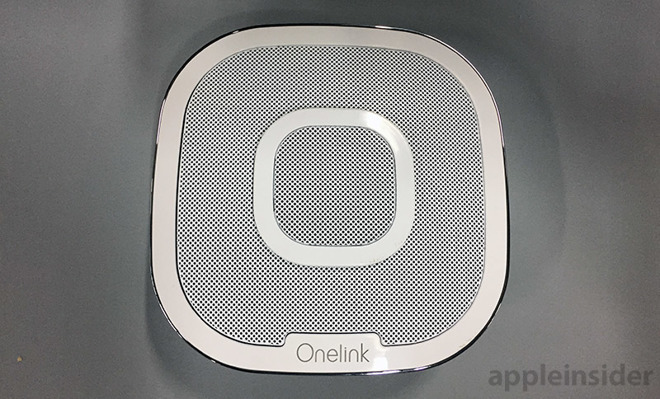 Not only does it operate as a HomeKit smoke and carbon monoxide detector, but it also works as a HomeKit capable AirPlay 2 speaker system. This is a brilliant idea. By integrating a powerful speaker into your smoke and CO sensor, it removes the need to place one on your counter, saving valuable space. This would be a substantially easier way to get integrated speakers than feeding wires through the walls. If you use Amazon Alexa, you can speak directly to the Safe & Sound, just like an Echo speaker. The inclusion of the forthcoming AirPlay 2 protocol means it supports true multi-room audio as well. Anywhere in your home, you can send audio to all of your speakers at once, even controlling the volume on an individual basis. AirPlay 2 will be released later this year for third party speakers, the Apple TV, and the HomePod. We don't yet know the extent of AirPlay 2's HomeKit support, but we can only hope it will allow you to create scenes involving music. The Safe & Sound can be pre-ordered at Amazon for $249.99 with an expected release date of May 1. So far a few HomeKit buttons have already made it to market. We've seen the Eve Button from Elgato, the Pop Switch from Logitech, and even a few Hue accessories. The Button from Fibaro is by and large my favorite to date. It has this great retro look, and comes in an assortment of different colors. They can be mounted anywhere such as on the wall, under your desk, or on the counter. It is still limited to the three commands we've seen of other HomeKit buttons, but it is the one we most want to put on our desks. It should be released in the first half of this year. Countless HomeKit switches have been released, but the Instinct Switch from iDevices take it to a new level. Not only is this switch capable of controlling your lights physically or through HomeKit, but it acts as an access point for Amazon Alexa as well. That means it works as an Echo-like speaker for listening to music and querying Alexa. It won't support AirPlay 2, and the quality of the speaker remains a mystery, but we are exceedingly curious about this accessory. 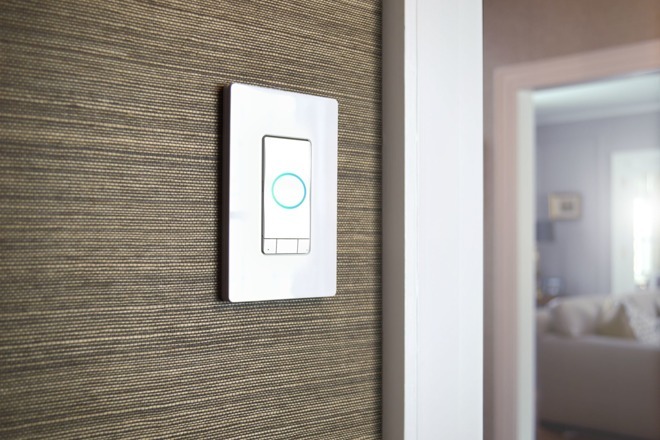 Belkin's WeMo system has proven to be overwhelmingly popular. Until now, HomeKit support has eluded WeMo, but that changed at CES 2018 when the company announced a new bridge that would finally bring WeMo within Apple's home automation ecosystem. 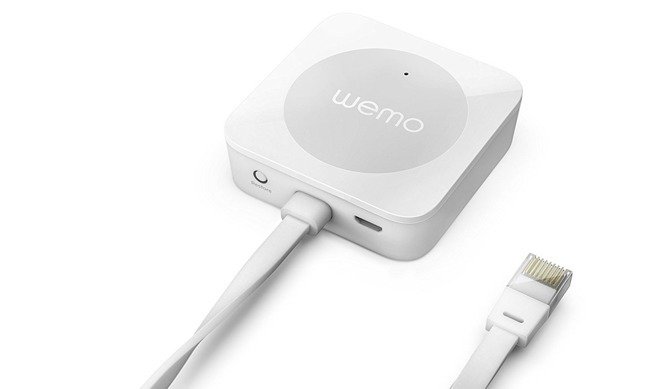 The WeMo Bridge is now shipping, and allows Belkin's switches, sensors, and outlets to interface with HomeKit. This is similar to when Philips released a second generation bridge to bring HomeKit support to Hue accessories without having to replace everything. The WeMo bridge is available now for $39.99. The Iota from Abode Systems is an all-in-one security camera that supports many smart home platforms. The 1080p camera can act as a gateway, baking in Z-Wave, ZigBee, HomeKit, and Abode RF which can encompass hundreds of smart home devices. The camera can show in the Home app, and if you view it in Abode's app, you can view the past three days worth of footage which is stored in the cloud. 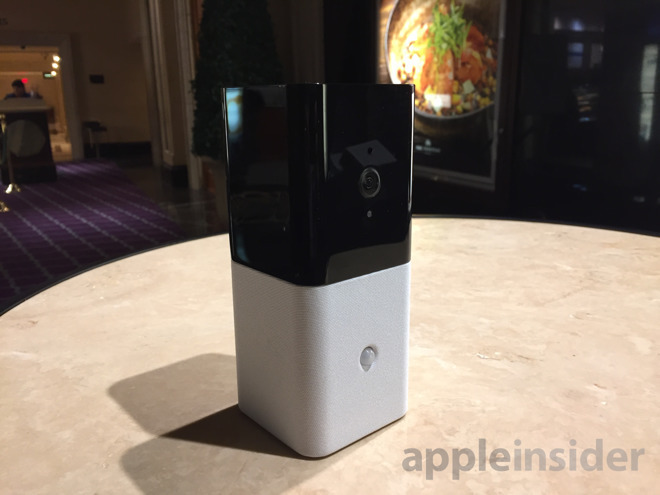 There are very few HomeKit cameras currently on the market, and this one seems to have all the features that one would want for a HomeKit device capable of inducing other actions. Even though we have seen several HomeKit-equipped door locks, we have yet to see a functional one in a padlock form factor. 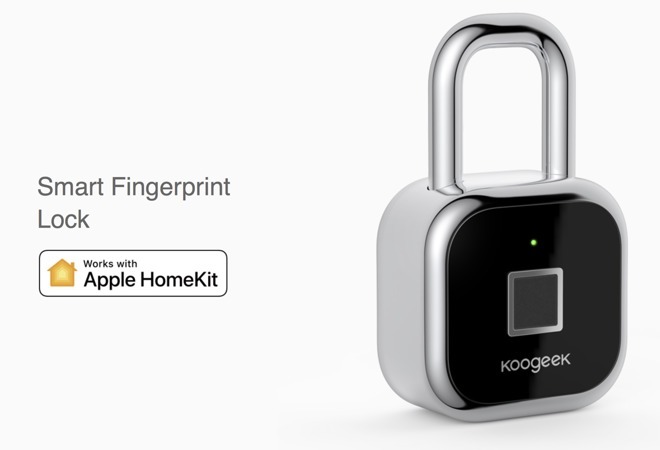 Koogeek is aiming to be one of the first to fix that with their L3 Smart Fingerprint Lock. Perfect for a bike, shed, gate, or locker, the L3 works not only with HomeKit over Bluetooth, but your fingerprint as well. Up to 50 different fingerprints can be added, and you can receive instant alerts when it is unlocked. The last 100 actions can be viewed for reference of when it was locked/unlocked. The lock is charged up over micro-USB, and after 2 hours of charging, can last up to a year with normal use. 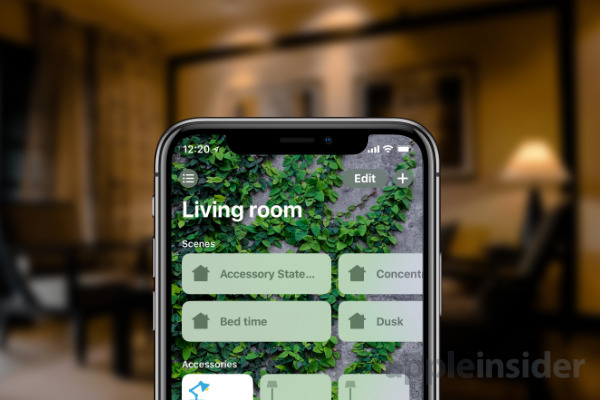 Fingers are crossed that iOS 12, which will probably be announced at WWDC in June, will bring even more HomeKit improvements. With any improvements, will come more hardware that works within the ecosystem as well.